I’m probably going a bit overboard on this year’s challenges, but since I planned to step up my reading and blogging this year, well some challengers might do the trick, right? 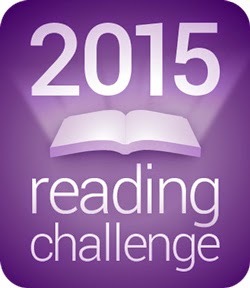 Goodreads challenge, last year i missed my goal with 20 books, this year, lets give it a new try. Any genre, length, or format of book counts as long as it is a book that’s been sitting on your self for some time. Short stories and novellas do count! The only stipulations that the book must have been released in 2014 or earlier. 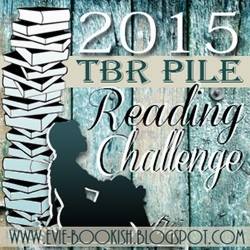 How many books are you planning to read for this challenge? My TBR piles (yes there is more than one) are just getting higher and higher so I think this challenge will do just nicely. How many books am I planning to read for this challenge? Well, I do know myself far to well, I’ll be content with A Firm Handshake but will try to achieve A Friendly Hug. For more information go to Bookish and read more how, where and the whatnot. There are so many prequel and sequels just waiting for me to get around and pick them down from that never ending TBR pile. To many series that I haven’t manage to complete, in other words, I need to get started and a new challenge might do the trick. For more information go to the sign up page and read more about the rules, the point system and all things you need to know to participate.